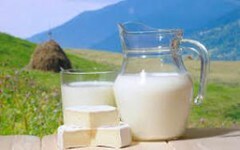 Profitability of milk business in Ukraine: who received more? UAC analyzed the results of activity of agrarian enterprises of Ukraine in years 2015 and 2016, based on official statistic data. Partially, efficiency of milk production was considered. The productivity of livestock, cost and profit from milk production in agrarian enterprises of Ukraine as an indicator of economic efficiency in six groups of agrarian enterprises with different land bank have been analyzed. Official statistic service provides impersonal data for 8502 agrarian enterprises in 2015 and 8316 in 2016; among them 7578 enterprises in 2015 and 7606 in 2016 were valid for analysis. Thus, according to the land bank, we distinguished such six groups with number of observed enterprises in 2015: I (less than 100 ha) – 232 agrarian enterprises (farms), II (101 – 200 ha) – 195, III (201 – 1000 ha) – 2506, IV (1001 – 5000 ha) – 4071, V (5001 – 10000 ha) – 407, VI (more than 10001 ha) – 167 agrarian enterprises (agriholdings); in 2016: I (less than 100 ha) – 323 agrarian enterprises (farms), II (101 – 200 ha) – 214, III (201 – 1000 ha) – 2459, IV (1001 – 5000 ha) – 4048, V (5001 – 10000 ha) – 398, VI (more than 10001 ha) – 164 agrarian enterprises (agriholdings). Thus, we can observe logical growth of cost in all groups of enterprises in 2016 in comparison with 2015, except the second group where it left without changes. The largest agrarian enterprises have the biggest cost of milk production with the average level of 460 UAH per centner, and if we compare them with the smallest ones, the cost of milk is bigger on 90 UAH per centner. It has been practically proved that there is a connection between the size of the enterprise and the efficiency and effectiveness of production. If we analyze profitability of milk production in agrarian enterprises in the context of six groups, we will observe that companies, whose land bank is more than 10 000 hectares, are the most profitable in dairy business in 2016. Profit from the sale of 1 centner of milk in 2016 is varied between only 10 and 50 UAH. The first and the third groups of observed enterprises got 10 UAH from the sale of 1 centner of milk, the fourth – 30 UAH, the second and the fifth – 40 UAH, and the six (the largest enterprises) – 50 UAH. According to statistic data and the research, it can be also mentioned that the year 2016 was better for analyzed representatives of dairy business in comparison to the year 2015, when the second group of enterprises had losses, and other groups had low profits from milk production and sale (not more than 10 UAH per centner). Tendency, showed on Pic. 2, is needed to be explained, in other words, we need to analyze why bigger and the biggest agrarian enterprises provide more profitable milk production. Of course, they have advantages from scale-effect, benefits from attraction of cheaper credits, but also they have more opportunities for involving and implementation of innovations and new technologies. Partially, it can be illustrated on Pic. 3, when productivity of cows (gross milk yield per 1 cow) grows with the land bank of enterprises in both years, and the highest productivity is observed in agriholdings. It is also positive, that in 2016 almost all groups of agrarian enterprises, besides the first one, show increasing of productivity in dairy production.